L’agonie d’un rat ou l’exécution d’un neau restent présentes dans ka pensée, non par pitié, mais comme la zone d’echange entre l’homme et l’animal, oū quelque chose de l’une passe dans l’autre. The agony of a rat or the slaughter of a calf remains present in thought not through pity but as the zone of exchange between man and animal in which something of one passes into the other. Koivusalo, Markku, Ojakangas, Mika, Lehtonen, Turo-Kimmo: ”Gilles Deleuze: katsaus tuotantoon.” [The Works of Gilles Deleuze.] Tiede & edistys: Interdisciplinary critical science journal 21 (1996): 2, pp. 134-141. Koivusalo, Markku: ”Taru sormusten herroista: Gilles Deleuzen ja Platonin kestiystävyys.” [The Lord of the Rings. The Homeric Hospitality between Gilles Deleuze and Plato.] Tiede & edistys: Interdisciplinary critical science journal 21 (1996): 2, pp. 173-179. Koivusalo, Markku: “Anti-Oidipus, Pelastaja” [Anti-Oedipus, The Saviour] Nuori Voima literary journal 2007:6. Koivusalo, Markku: “Eläimellistä aivan liian eläimellistä.” [Animal, All Too Animal.] Nuori Voima literary journal 2000:1, pp. 2-6. Koivusalo, Markku: ”Häpeä ihmiskuntaa kohtaan: Johdatus Gilles Deleuzen kirjalliseen elämään.” [The Shame towards humanity: Introduction to the literary life of Gilles Deleuze.] Nuori Voima literary journal 1997:3, pp. 25-28. Anti-Oidipus discussion. Helsinki Book Fair 28 October. Helsinki, Expo and Convention Centre 2007. 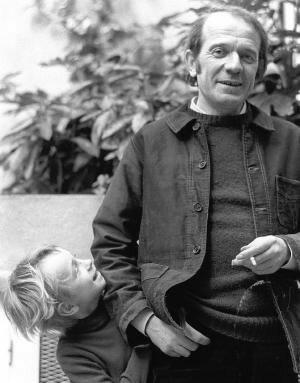 Gilles Deleuze and Creative Thought. Critical Coffee House. Helsinki 2007. Philosophy of Event. Discussion in bookshop Kolme seppää 2005. Gilles Deleuze discussion. Helsinki Book Fair 28 October. Helsinki, Expo and Convention Centre 2005. Deleuze, Gilles, Kirjallisuus ja elämä. Nuori voima 6 / 1997. As a part of a group Kaisa’s class (Hiidenheimo, Himanka, Hirvonen, Koivusalo, Nevanlinna, Sivenius, Säntti).